The Ottawa Ospreys R.F.C currently field two (2) teams, with plans to develop a more social/developmental 3rds team. The Men’s 1st team is the premiere side for the Ottawa Ospreys and currently competes against the 1st teams of the clubs in Ottawa and the Federation Rugby de Quebec that we play against. 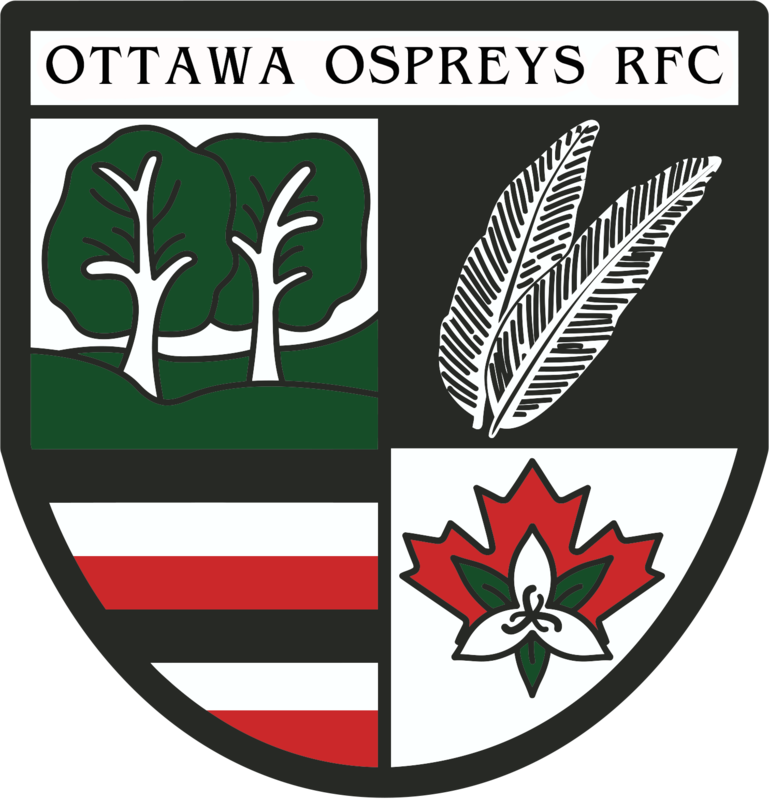 The Ospreys firsts and seconds travel between their home pitch at Twin Elm Rugby Park in Ottawa and the major rugby centres in Quebec of Montreal and Quebec City to play against the best sides from Eastern Ontario and the Province of Quebec. The Men’s 2nd team serves as a platform for young and upcoming players aspiring to compete at the 1st team level. The seconds are supported and mentored by veteran players, and the firsts, whose previous experience and knowledge is shared to benefit their development. Through a commitment to teamwork and training, the Ospreys hope to assist all club members obtain the necessary experience and skills to develop and be selected to the 1st team, provincial teams, and national teams. This team would play in the Eastern Ontario Rugby Union – Div 1 and play most games within the Ottawa area, with a few games in the St. Lawrence area against such teams as Brockville and Cornwall. All of our men’s teams are coached to the principles of the modern game: Speed, Agility, Fitness, Strength and dynamic game principles and strategies! We actively encourage and support our players, coaches and management to train, play and provide assistance to the Eastern Ontario and Ontario representative teams. We are always looking for new players and coaches to join our club, regardless of age or experience. We encourage you to contact us with any questions you may have. The Ottawa Ospreys look forward to seeing you at training and on the pitch!